Everything you need to know about the European Roulette championship! Roulette players can win a lot of money when they’re successful. Several tournaments are being organized around the world, including the European championship in Malta. The Portomaso Casino is the place to be when it comes to Roulette. Every year in April it organizes several spectacular events and the Roulette Main Event is the absolute highlight. How does this tournament work? 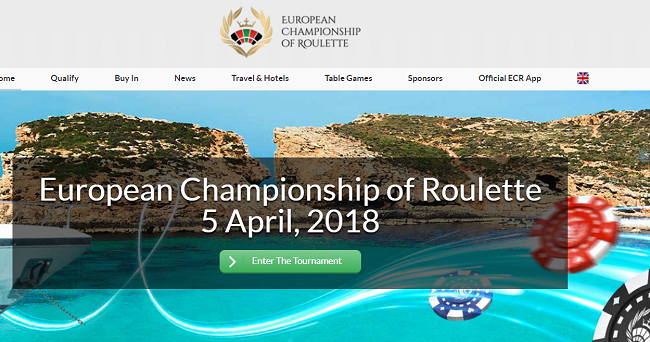 Every Roulette enthusiast is looking forward to the Roulette Main Event at Malta. The winner will be awarded with a nice trophy and at least 50.000 euros! Perhaps luck is at your side this time. To make a chance, you should travel to Malta in April. The last event took place the 6th and 7th of April 2018. How to participate in the European Roulette Championship? Perhaps it’s your dream to participate in the European Roulette Championship. Stop dreaming, leave the couch and sign yourself up right now! There are several options to participate. You can pay You a so-called ‘buy in’ of 550 euros or choose an all-inclusive package. The last option is great when you like to have access to exclusive parties. After the party you sleep well in a 5 star hotel. It’s also possible to take part in qualification tournaments. If a player is good enough, he or she gets a ticket for the tournament in one of the last weeks. During the tournament, you do have to face a lot of competition. During the last event about 200 people tried their luck with at least one Roulette game. To make sure that every can play, the organization behind the Roulette Main Event has created several small tournaments. Although the range of participants is a bit smaller, you can still win some nice prize money. It would be nice to win 500 euros or more, which you can spend on the beautiful island of Malta! The Roulette Main Event is open for everyone, from amateur to professional. The rules are relatively simple, so everyone can play. There’s a schedule with four sessions. A player ends up in one of these sessions and has to play 30 spins. Every spin uses a minimum bet and there’s a limit amount of chips available. The tournament ends if you’re not able to pay the minimum bet anymore. If you’re lucky enough some fiches will remain. In that case you go to round two on the second day. The rules are the same, until seven players are left. They play against each other during the thrilling final on Sunday. One of them wins the trophy and prize money worth a few thousand dollars. Although the main event is all about Roulette, it’s also possible to enjoy other casino games during the tournament. If you like something else, Baccarat, Texas Hold’em and Blackjack are available as well. Or perhaps you like to do something else than gamble. In that case a nights out at Malta is a very good idea. The island is known for its excellent vibrant nightlife. The ‘Players in The Sky’ event is definitely recommended for party-goers. You can party all night long at the 22nd floor of the Portomaso Tower.